After the success of the Crash Bandicoot N. Sane Trilogy, it was only a matter of time before Spyro returned to our consoles. In the late 90s, the cheeky purple dragon had us collecting gems, beating up weird creatures, and rescuing his friends across three whimsical platformers, filled with all the hallmarks of what makes the genre so great. 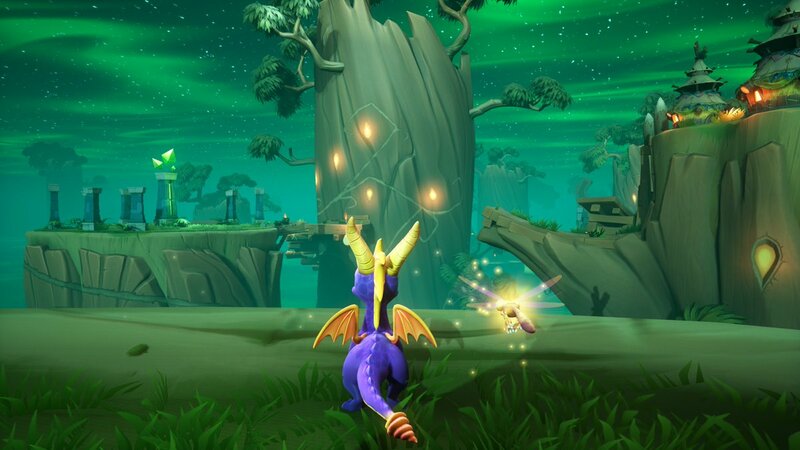 When Spyro Reignited Trilogy was officially announced in April this year, I couldn’t help but feel all warm and fuzzy inside because the games hold a special place in my heart. My dad and I used to love playing Spyro together; we’d spent hours exploring the colourful worlds, taking it in turns to set fire to anything and everything. I remember telling him these were coming out and he was chuffed to bits, as was I, and after finally playing them again, those memories – I’m happy to say – haven’t been ruined. With certain remasters or re-releases, you can’t help but feel they should be left in the past, but I can report Spyro suits the modern era. 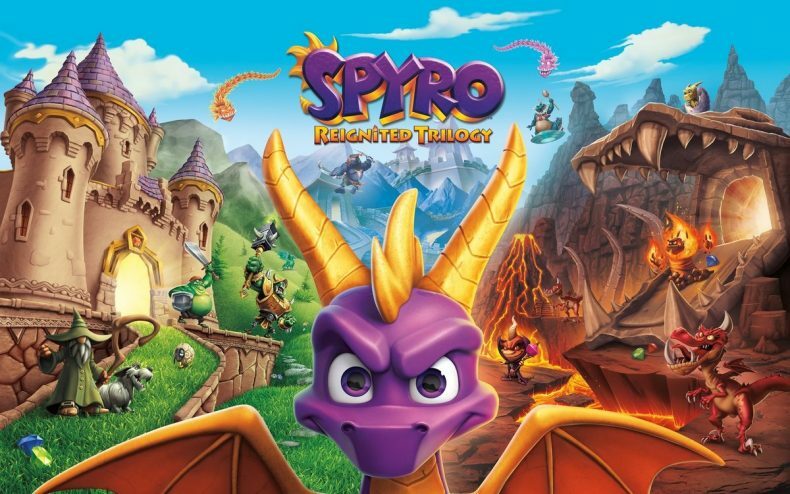 Spyro Reignited Trilogy contains Spyro the Dragon, Spyro 2: Ripto’s Revenge, and Spyro: Year of the Dragon, and each one slowly improves the gameplay by adding abilities. All three look beautiful, and as you get to the third entry, it’s a pleasure to see just how much bigger and better the worlds become. There’s plenty of detail in the various realms, but also in the character animations, whether in the way the enemies move or in each and every dragon you save. The controls are straightforward: jump, glide, headbutt, and breathe fire through each level. Some areas are harder to reach, so learning how to master the jumping and gliding proves a mild challenge, and treasure chests differ in the requirements to open them. Enemies can be defeated by either ramming into them or breathing fire at them, but even now with the remasters, charging is awkward and unless you’re facing an enemy (and the camera is behind you) you’ll often find the accuracy is still well off the mark. In Spyro the Dragon, you must rescue the Dragons of the Dragon Kingdom, after Gnasty Gnorc – the main antagonist – throws a hissy fit whilst watching an interview on the news. One of the dragons pokes fun at the half-gnome-half-orc, claiming he’s no threat to them, so naturally he encases them all in emerald crystal cocoons. Thankfully Spyro manages to escape his curse and is able to try to free them all, along with collecting thousands of gems, and recovering dragon eggs from an annoying blue thief. It’s incredibly basic, but it’s all part of the charm, and this simplicity makes it so easy to pick up and play. With each game, new things are added, but the majority of what you play in the first game carries on throughout the trilogy. Spyro 2: Ripto’s Revenge sees Spyro battling a warlock known as Ripto, who’s hellbent on conquering a fantasy world called Avalar. 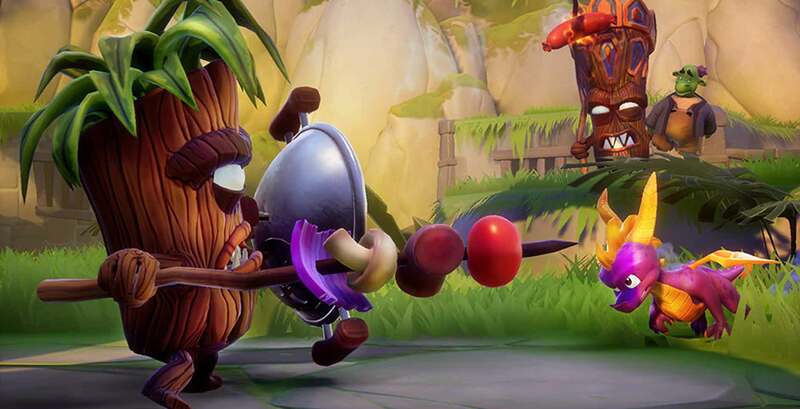 Summoned to the world by new characters Elora and Cheetah, you must stop Ripto and his dumb-as-doughnuts henchmen Crush and Gulp before they take over Avalar. It’s instantly noticeable that the world is bigger and denser than its predecessor, with more to do and plenty to find. You can use all the gems you collect to not only move through the game, but unlock new abilities from Moneybags – an aristocratic bear who loves the green. These abilities, such as diving underwater and climbing ladders, help get to new areas and progress through the game, but it’s rarely a chore finding gems as they’re everywhere. There are also some cool minigames like playing Ice Hockey, all adding to the overall fun of Ripto’s Revenge. The final game in the trilogy, Spyro: Year of the Dragon is the most ambitious, and easily the most engaging. During the Year of the Dragon celebrations, a cloaked rabbit known as Bianca steals the Dragon Kingdom’s dragon eggs and takes them back to the evil sorceress. After playing through the two previous titles, it’s appreciated just how many new minigames and additional sections there are. Skateboarding, Doom-like FPS levels, and boxing are all part of the mix, and with plenty of levels featuring hidden sections and side quests to undertake, there’s a lot to keep you entertained. You also get to play as your sidekick Sparx and other characters, which is pretty cool. All three games are easy to play, and you’ll rarely struggle to progress. One of the reminders Crash gave us was just how tough the originals were, but the Spyro Reignited Trilogy is much more relaxed and focused on fun. You can undertake challenges which test the grown-ups, but for kids this is a great set of games that’ll give them plenty to do, especially if they’re used to games like Ratchet and Clank or Super Mario Odyssey. The voiceover work is funny and entertaining, and the new score adds more spectacle to the remasters, but the camera work still feels unnatural at times. You’re constantly having to centre yourself behind Spyro, and whilst you can re-centre at any time, it still doesn’t work as well as it should. This is particularly frustrating when facing multiple enemies as you can face unnecessary death when you really shouldn’t have to. Despite the issues with the camera angle, and charging being a bugbear of mine, Spyro Ignited Trilogy is still a joy to play. It holds up excellently, if a little simple in the first game, but more ideas are introduced throughout and you’ll find yourself revisiting the minigames to beat the challenges they unlock. Whether you played it back in the 90s or are trying it out for the first time, Spyro Reignited Trilogy is a laidback platformer that offers plenty of hours of gameplay and a humour that’s relatable to kids and adults alike. 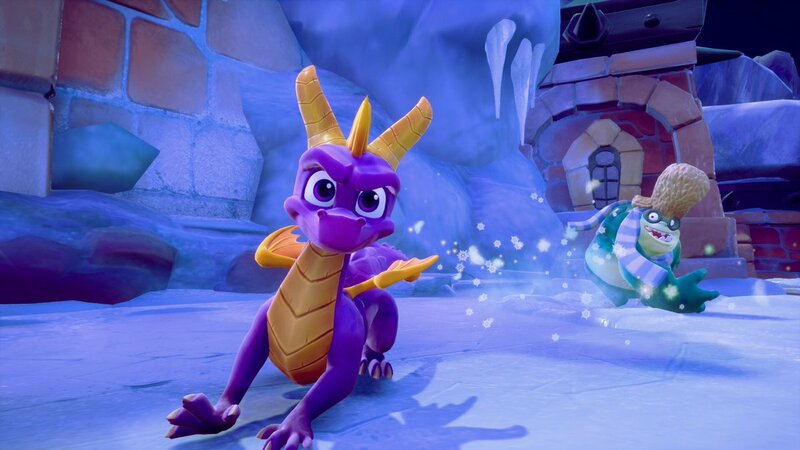 It's great to see Spyro back in the picture, and with the remasters it doesn't look out of place in today's day and age. It's a joy to play, but the charging and camera angles let it down somewhat.